For our account customers we also offer monthly billing and invoicing. 24/7 Services - we're here for you whenever you need us. Pre-bookable - call us or use our online booking form to book your travel arrangements in advance. 8 Seater Minibus - call us to book our 8 seater minibus in advance. Often used for group visits to Cheltenham Racecourse for the festival / hen and stag party transport in Evesham and Worcestershire. Reliable service - our team of dedicated drivers and call handlers will ensure you travel in total safety and comfort and reach your destination on time. VIP & Business Bookings - we frequently work with high profile clients to chauffeur businessmen and women to and from airports, meetings and hotels. Enquire now for further information on our competitive rates and monthly invoicing service. Paypal - agree a fare and pay upfront for your taxi service. Now there's no need to worry about keeping cash spare for the end of your night out. Credit, Debit and Visa Card Payments - for a 2% Administration charge we can take payments via credit, debit or visa card over the phone. Local service - we know Evesham and the surrounding areas like the back of our hand. Professional - all of our vehicles are thoroughly and professionally maintained and are always spotlessly clean. Punctuality - we consider that our business demands punctuality at all times. 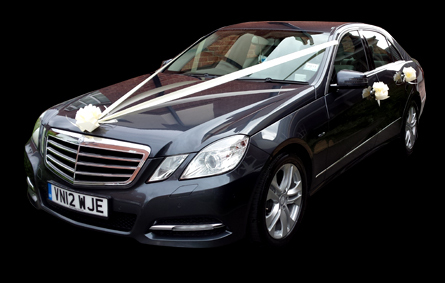 BR Taxis in Evesham can provide luxury weddings cars for your big day. Please get in touch with us and ask us about our very competitive rates.